Complete your outfit with this simplistic bead pendant. 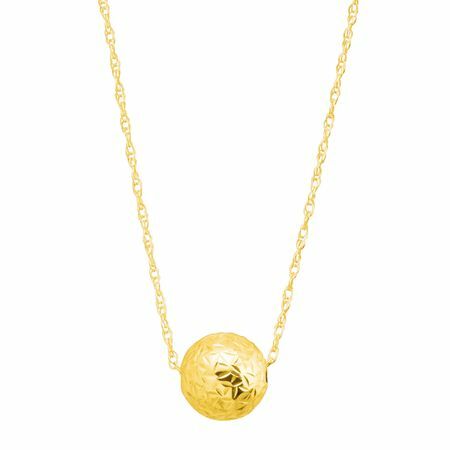 A textured bead suspends from a dainty chain, all crafted in 10K gold, for a timeless and put-together look. Piece measures 1/4 by 1/4 inches. Comes with a 10K gold 18-inch rope chain with a spring ring clasp.